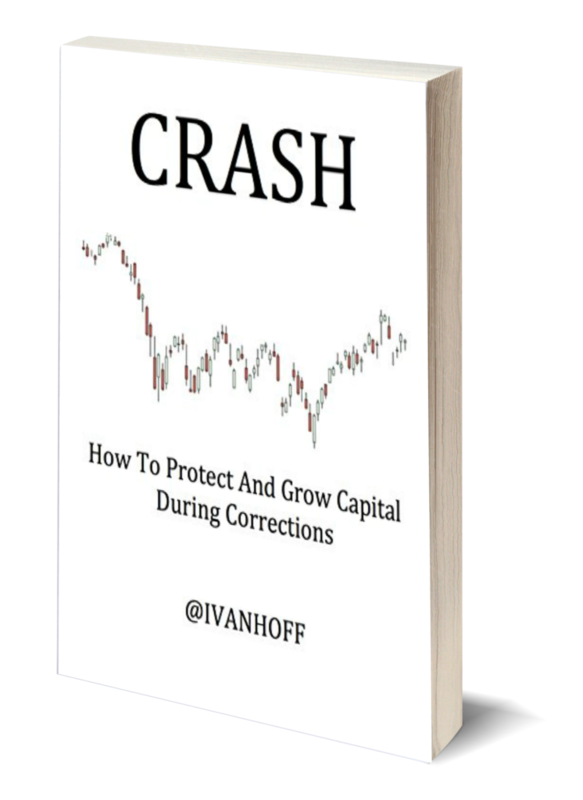 All markets cycle endlessly between contraction and expansion. But congestive phases use up many more price bars than trending moves. This suggests why making money in the markets can be so difficult. 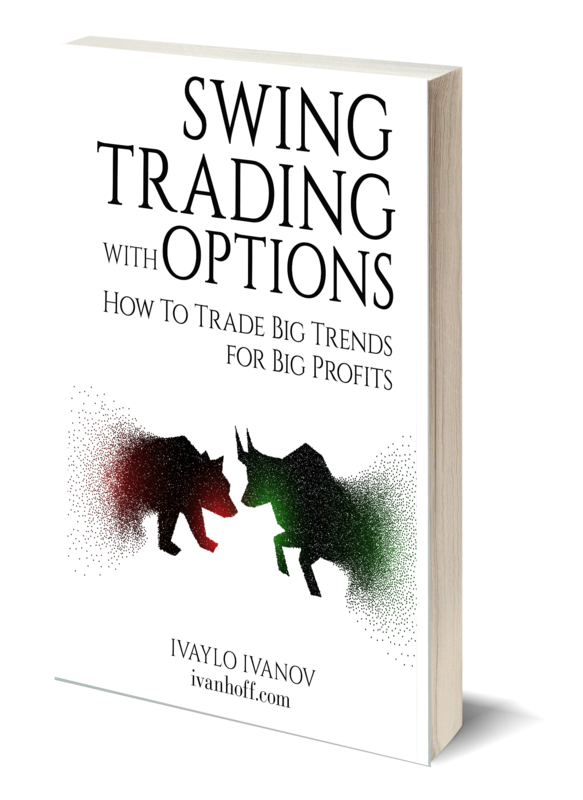 A trend may already be over by the time most participants see a sharp rally or sell off. At the least, risk escalates dramatically as advancing price can reverse or enter new congestion at any time. 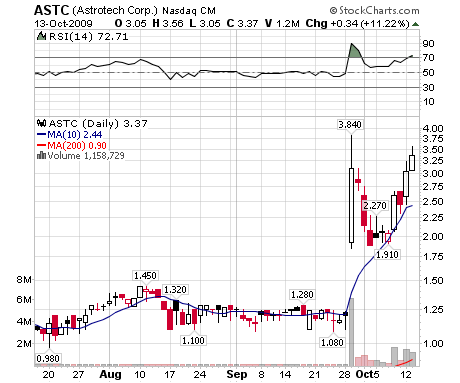 On September 29th, ASTC gained 176% after 5 months of boring sideways action. The traded volume that day was an all-time high for ASTC. The company reported Q4/09 net income of $2.6 million or 0.15 per diluted share on revenue of 10.4 million compared with Q4/08 net loss of 1.5m or (0.11) per diluted share on revenue of 6.1m. Astrotech announced that it has engaged investment banking firm Lazard Ltd to advise the Company in exploring strategic alternatives. A gigantic, earnings’ related one day move. What to do if you did not catch it intra day? Often such enormous one day moves tend to consolidate time-wise and price-wise before they continue. A time-wise consolidation will look like a bullish flag. The big range day is followed by several small ranged days, located in the upper one third of the first day range. A break-out above the high of the big range day is then buyable. In a price-wise consolidation, the stock often retraces big part (if not the whole) of the big range day move. It is not unusual to see the stock to come back to the bottom of the big range day candle. This is not the place to buy. You don’t buy blindly on weakness, because you don’t know how far the decline could actually continue. Instead you are looking at the bottom of the big range candle day only as a potential support. If it is, you are likely to see a sideways action, which gives time to the rising 10 DMA (this is the one I use) to catch up with the price. Several days of sideways, low volume action will form a tight range, which could be looked as a sign of accumulation as buyers are defending the opening range of the gap. 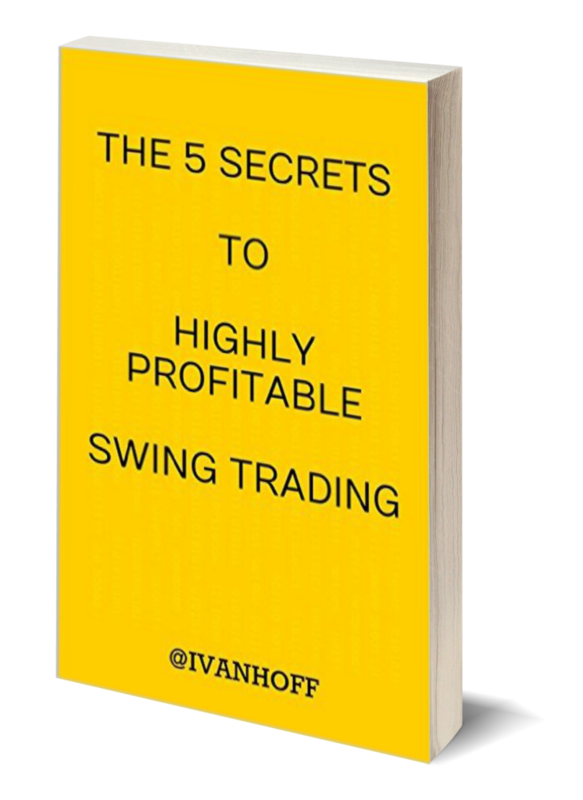 Then you buy on the break-out from that range or on 5%+ move on at least 2 times the average volume. Actually here volume has secondary importance as in such moves, volume often tends to follow price. Went from 9 to 12 during the last 6 trading days as actually only 2 days accounted for the bulk of the move. 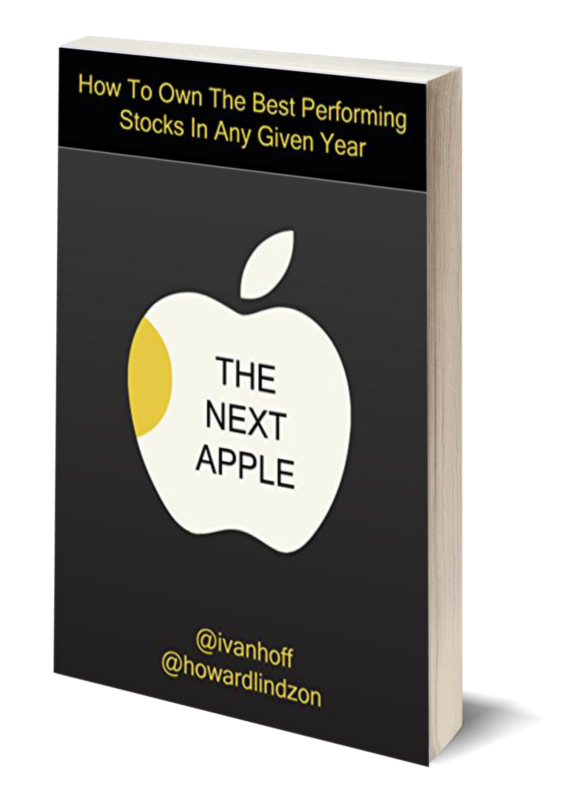 What was interesting for me was that the stock was already up 156% in the 6 months preceding this 9 to 12 one week move. 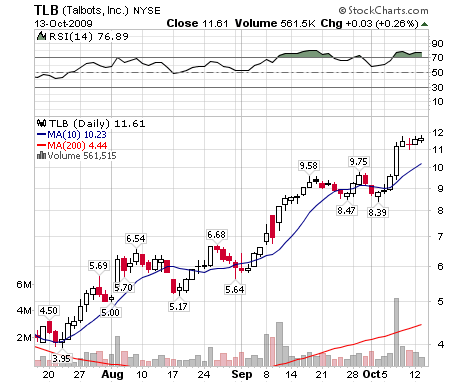 TLB had a quick run from 6 to 9 in September, followed by 3 weeks of sideways consolidation. 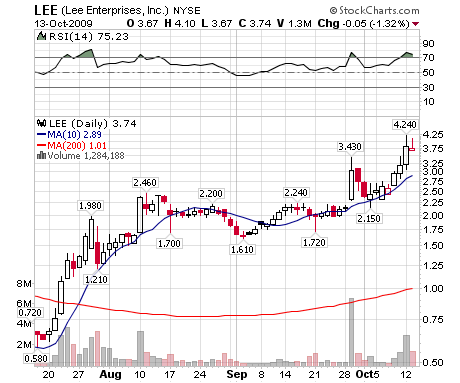 The buy was on the day of the 5%+ move above rising 10 DMA. I am constantly looking intraday for 5%+ moves among the stocks that at least doubled during the last 6 months. 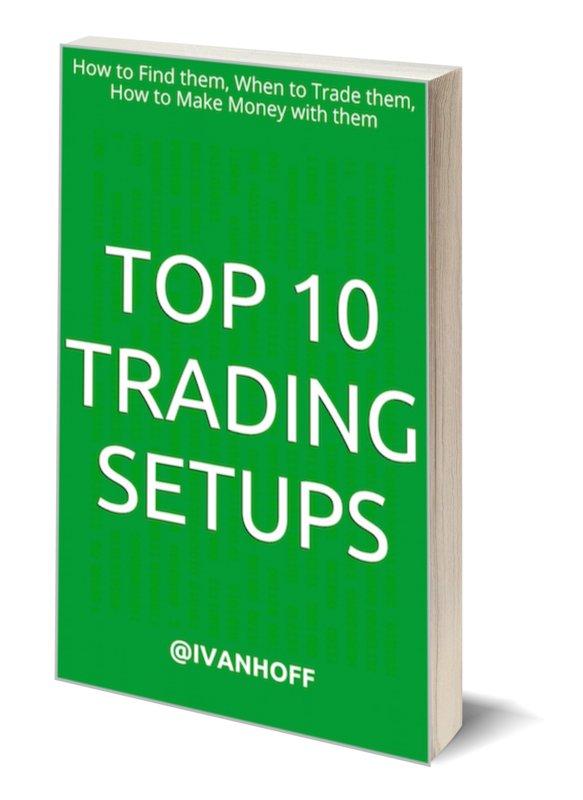 Most of my trading ideas come from this screen.